1) What is working well? It is important to build on what is working well. 2) What is not working? It is important to recognize where there are problems that can be addressed to improve our system. 3) Where do we need to invest to improve Manitoba's health care system? 4) How do we improve trust in Manitoba's health care? 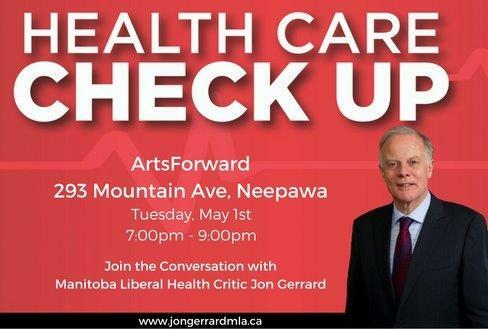 5) What should health care look like in the Neepawa area ten, twenty and thirty years from now?